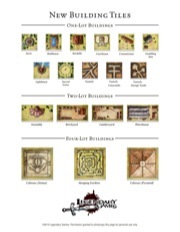 Our best-selling Ultimate Rulership product introduces over a dozen new buildings to use in your cities as part of the kingdom-building rules introduced in the Pathfinder Roleplaying Game Ultimate Campaign hardcover. 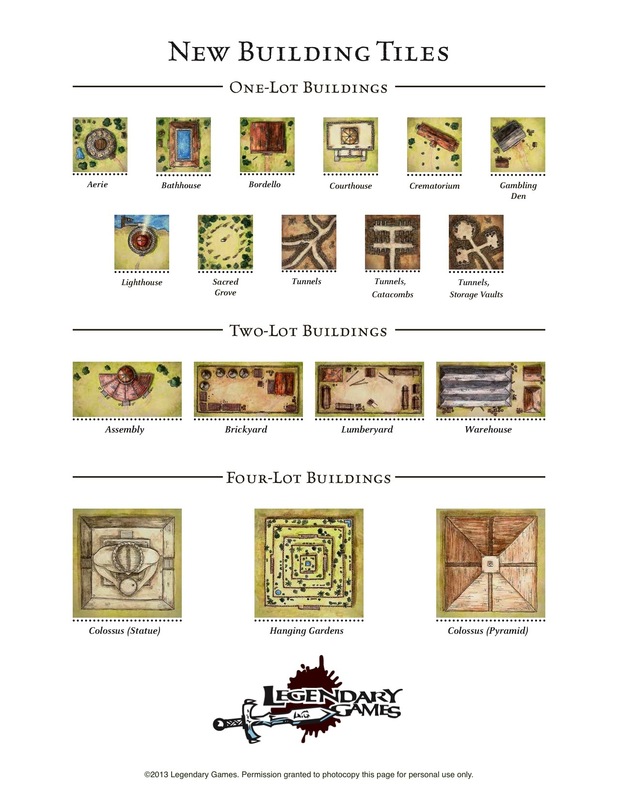 This product provides you with a separate sheet of full-color building tiles to use on your district grid, ranging from Aerie to Lighthouse, Crematory to Colossus, Hanging Gardens to Sacred Grove. Your cost? Nothing. Enjoy this FREE DOWNLOAD courtesy of your friends at Legendary Games! Say..These are awesome bulidings you made here i like it great work. The statue added in there are so cool.